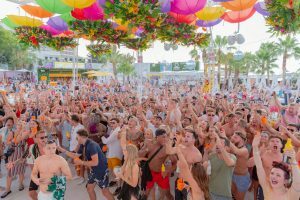 If you have ever toyed with the idea of doing a season or looking for a career in Ibiza, then this blog could be the last little push you need to take the plunge. Everyone who comes to work here has their own story, there is always a reason to why they decided to leave the daily grind and start a new adventure on the magical island. Some people stay for one summer and some never leave, whatever the story is, we can guarantee they took something positive from the island that has helped shape who they are today. 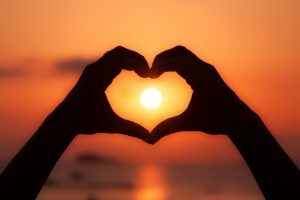 If you are reading this on your daily commute, squeezing onto the tube or the train, while someone from behind you shouts “can you move down the carriage please” then you’re in luck as we are about to give you 6 reasons why you should make the move and do a season in Ibiza. The first obvious reason is the amazing weather. Long gone will be the dark early morning starts where you have to put five layers on just to cope with leaving the house. Ibiza offers a different start to the day which involves waking up to blue skies every morning, putting you in a great frame of mind. Layers will be a thing of the past as you leave your apartment in a pair of shorts and a t.shirt while you walk to work, strolling past the mediterranean sea as you sip your coffee and soak up your morning dose of Vitamin D, It really is the perfect to start to your day. Imagine spending your days off laying around a pool sipping cocktails, while reading your book or catching up with friends, this is a reality in Ibiza and it could easily be yours too! The island is home to some of the best parties in the world, playing host to some of the most incredible international DJs and not to mention it is all at your fingertips, Ibiza isn’t huge which means getting around is very easy. When it comes to after work drinks in Ibiza there are so many options, you could head down to the Wiki- Woo grab a couple of strawberry daiquiris, watch the sunset, have a little tapas and it doesn’t have to end there, everyday is a Saturday in Ibiza so if you’re in the mood to party, your possibilities are endless! Walid, Assistant VIP Manager says ……..
Read more about Walid’s experience at O Beach Ibiza here. Working in Ibiza is an Adventure as no two moments are the same. You never know what is round the corner and the element of surprise is what keeps you wanting more. The amount of people you meet and learn from throughout the season is invaluable. It is amazing what taking 6 months out of your normal 9-5 lifestyle can do to help you grow and develop as a person. Working in Ibiza doesn’t only have to just be 6 months of fun. For anyone who has a real interest in music, events, travel, design, fashion it is also the perfect island to make contacts and build a career. 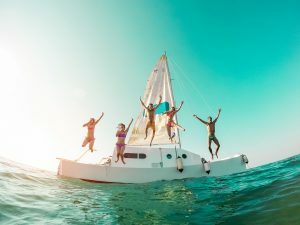 Careers in Ibiza can start from any level whether it that’s starting at managerial level or starting at a PR level but there are many people on the island who have taken their careers to impressive heights doing something they love with some even starting their own business anything from a restaurant to a beauty salon. Many of the O Beach staff have worked for the company for years as we believe in a progression path for each individual who shows passion and skill in what they do and that is even more relevant now especially with the open of our new Dubai venue, and the other pending territories. To find out more about how one of the O Beach owners Tony Truman deals with the recruitment process and how he sees the brand developing, please read our interview with Tony Truman. It’s the Island that never stops giving, there really is something for everyone. Not only is it a party paradise but it is also full of picturesque, idyllic beaches and amazing restaurants with mouth watering, authentic tapas menus. Ibiza is known for its beautiful sunsets and sunrises along with its many hiking spots, so why not trade in your gym session for an amazing morning walk, it feeds the mind, body and soul. For more tips on hiking please read our best places to hike blog. 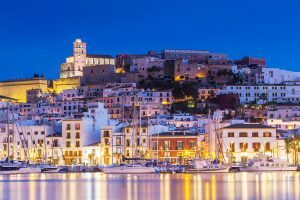 Ibiza town is the perfect location to meet friends and have dinner and if you really want to absorb the amazing island culture then stroll up the Dalt Vila for a glass of wine and magnificent scenery. Ibiza is a place where your friends become your family, you really do make friends for life that hold a very special place with you as they are the only ones who truly know what an amazing, colourful journey you have been on when doing a season. If you would like the opportunity to join our family then apply here.